Island Mazda near Union, New Jersey introduces the nimble and curvacious 2017 Mazda6. 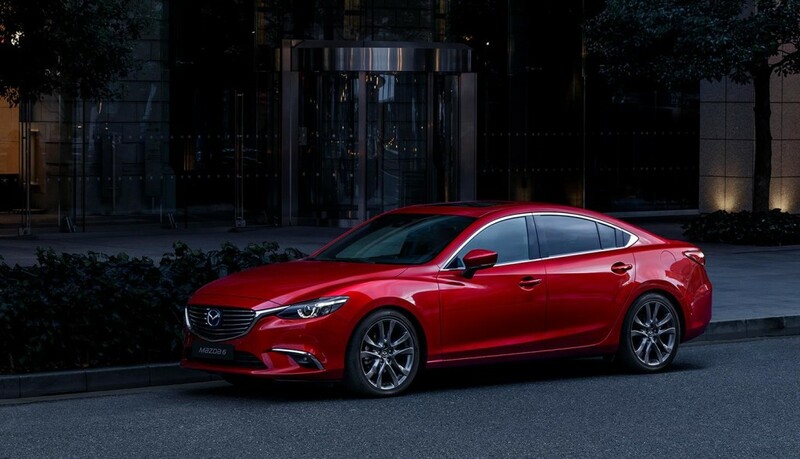 If you think all family sedans are created equal, you’re in for a surprise with the nimble and curvaceous Mazda6. It lives up to its racy looks, too—a precision-tuned suspension and driver-focused cabin make it the ideal choice for those who enjoy driving. A 184-hp 2.5-liter four teams with either a six-speed manual or a six-speed automatic. The seven-inch infotainment system is easy to use, and optionally automated emergency braking and adaptive cruise control provide an extra level of safety. A 10Best Cars and comparison-test winner, the Mazda6 is our pick of the current mid-size sedan litter. It’s a solidly built, well-executed, and fun-to-drive vehicle that delivers a level of satisfaction well beyond what’s expected in a family sedan. The car recently was refreshed for 2016, and while Mazda wisely kept the updates to a minimum, the 6 is nonetheless even more enjoyable. Plus, thankfully, Mazda didn’t axe the sweet six-speed manual transmission installed in our subject for this review. All 2017 Mazda6 models receive G-Vectoring Control, which uses nearly imperceptible engine modulations to ease your own nearly imperceptible steering corrections. Base Mazda6 sedans receive a 7-inch infotainment screen as standard, while Touring and Grand Touring models receive active safety and driving aids like automatic emergency braking and lane-keeping assist as standard. Stop by Island Mazda near Union, New Jersey today and check out the all-new 2017 Mazda6 and take it for a test drive.